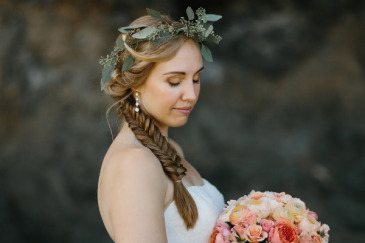 Floral Crown: Blush spray roses, pink ranunculus, burgundy ranunculus, two tone white and burgundy waxflower, gunni eucalyptus, white cushion poms, burgundy seeded eucalyptus, Italian ruscus, and moss. 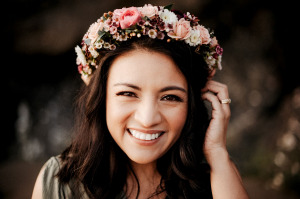 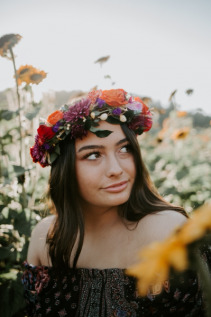 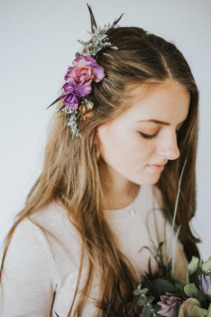 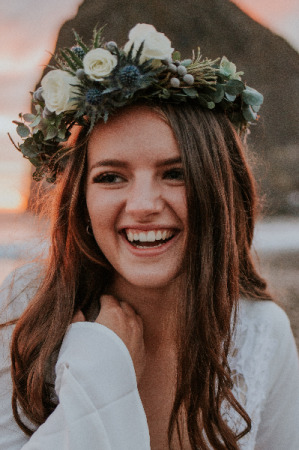 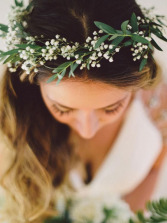 This beautiful purple floral crown is made of real lavender, seeded eucalyptus, spray roses, and dusty miller. 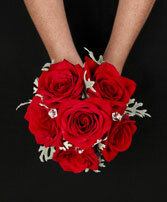 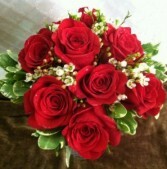 This bridal bouquet is shown with a dozen red roses and white waxflower. 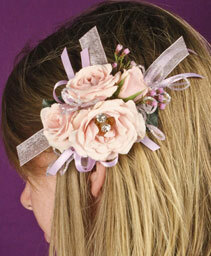 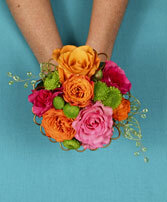 It could also be made smaller for a bridesmaid bouquet or larger for a more grand bridal bouquet.